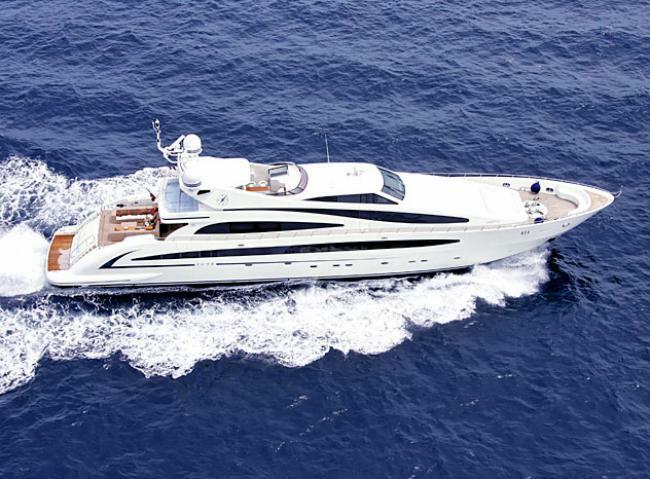 Motor yacht LIBERDAE (ex Liberdade, Ti Voglio Tanto Bene) is a 2007 40,50m/132ft International Shipyard Ancona (ISA) 133 superyacht. 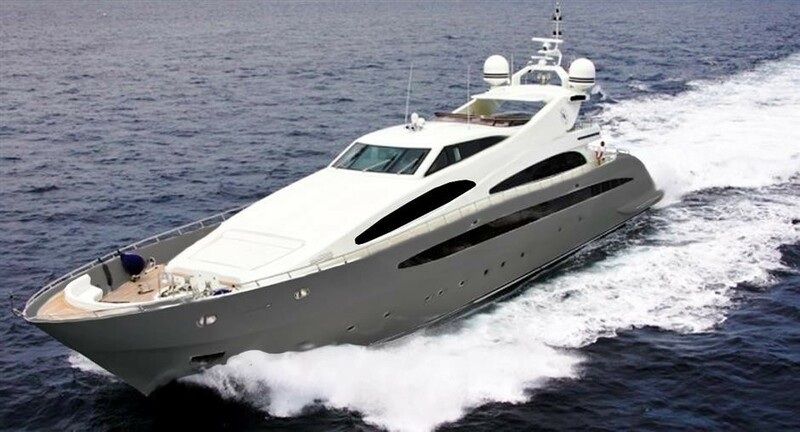 Her naval architecture and sporty and sleek exterior profile were created by Andrea Bacigalupo, while Cristiano Gatto took care of the interior design and finishing. 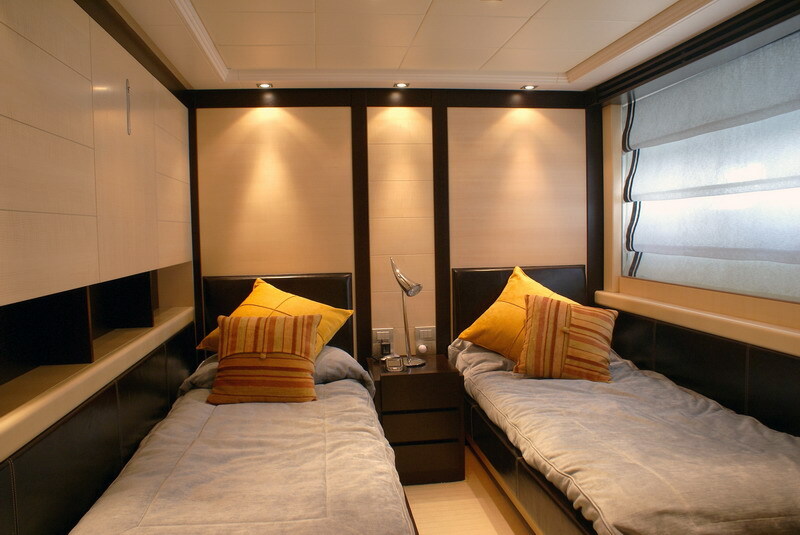 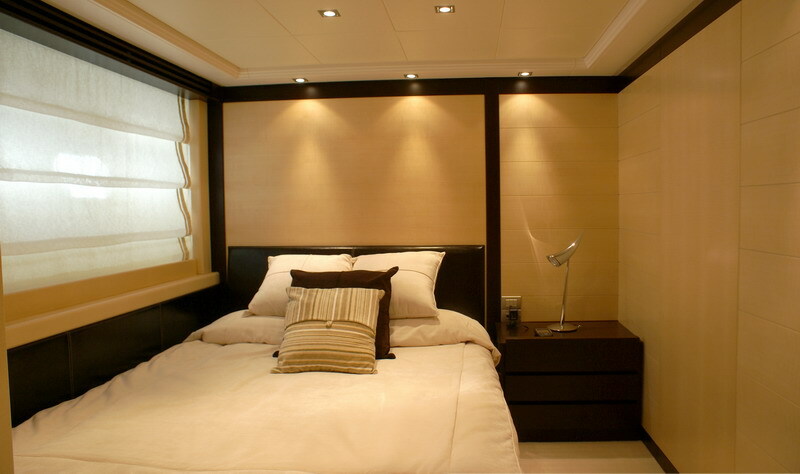 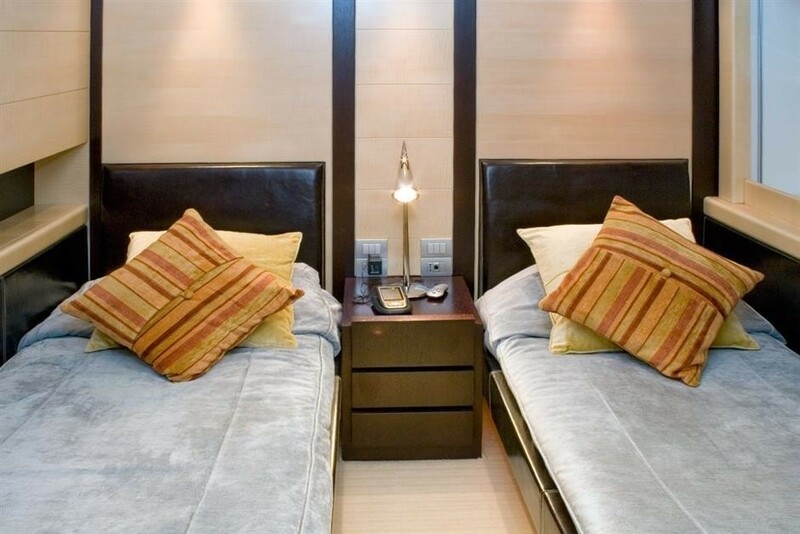 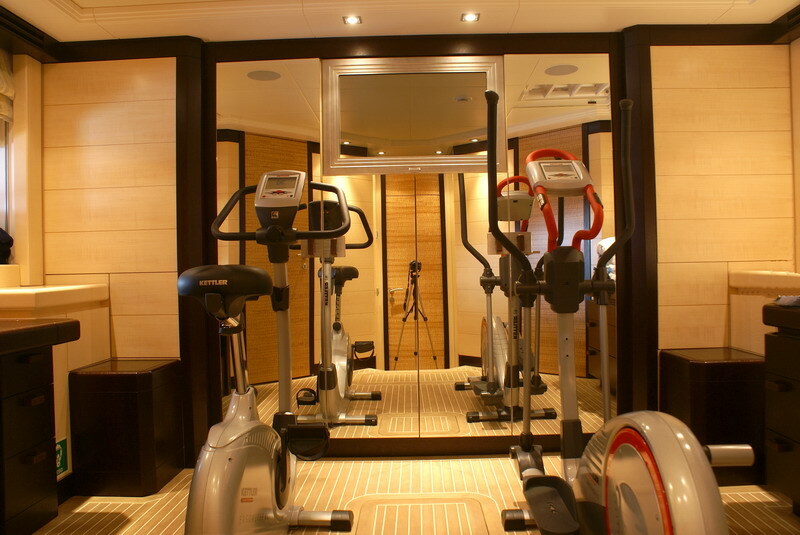 Accommodate onboard is for up to ten guests in 5 cabins. 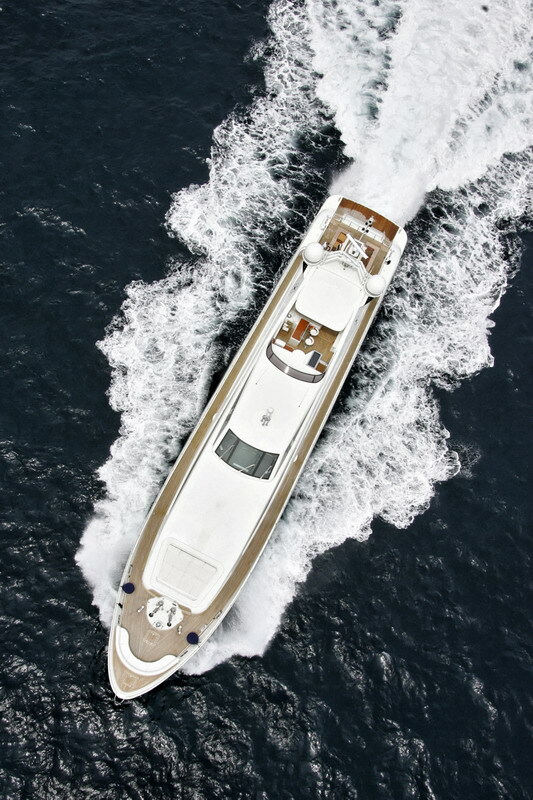 LIBERDAE is created by the team-work between ISA and the Cristiano Gatto Design Team and the superyacht represents an evolution of the ISA 133 being the third hull in the motor yacht series with a higher bulwark, making her streamlined. 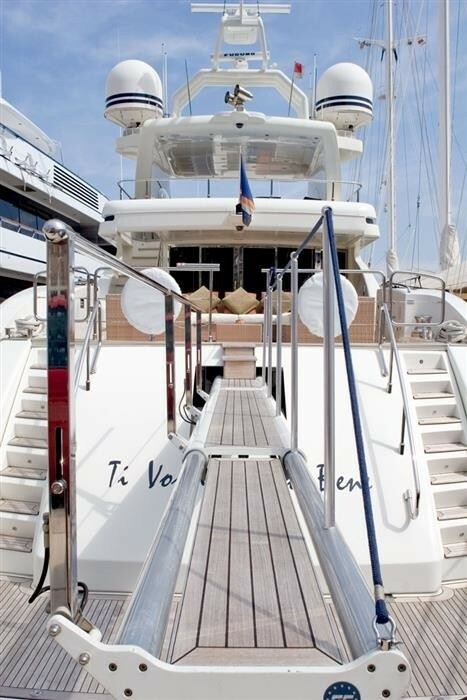 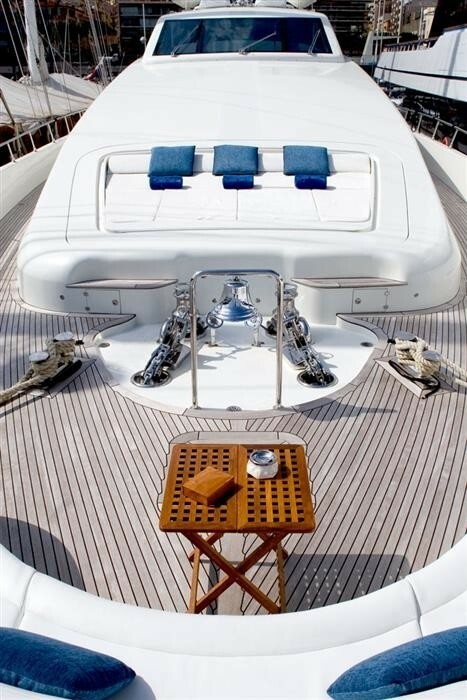 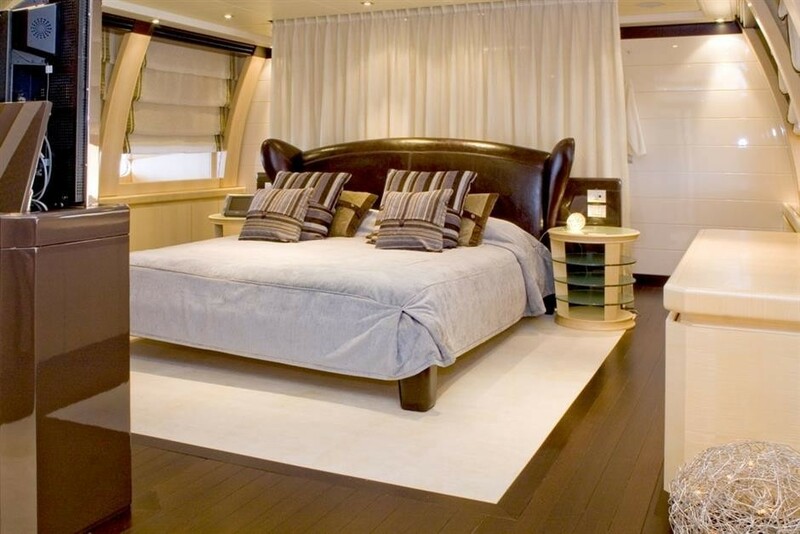 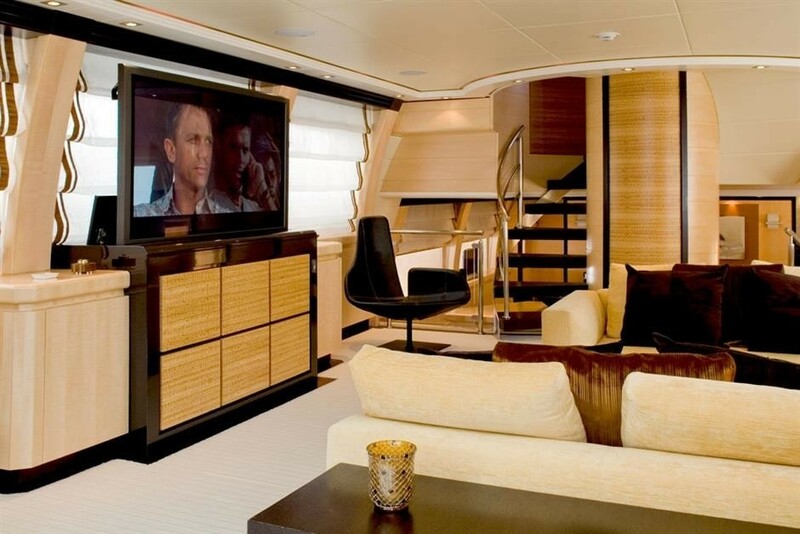 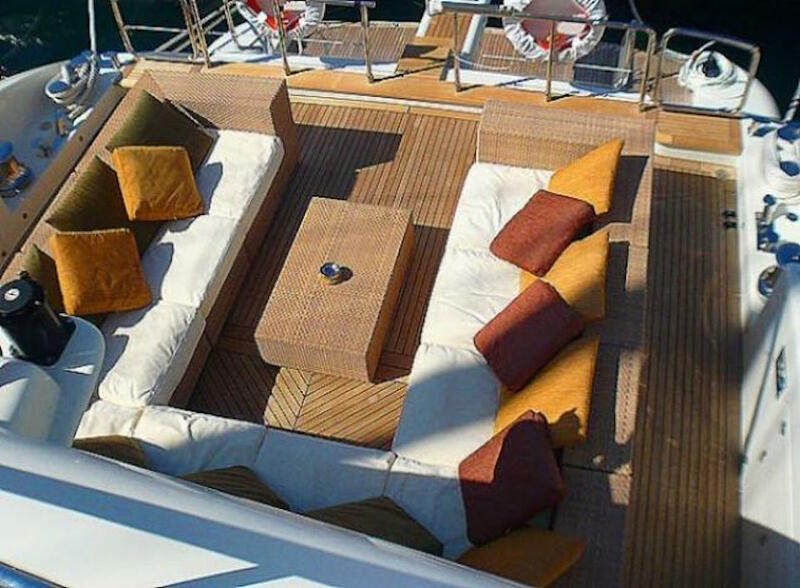 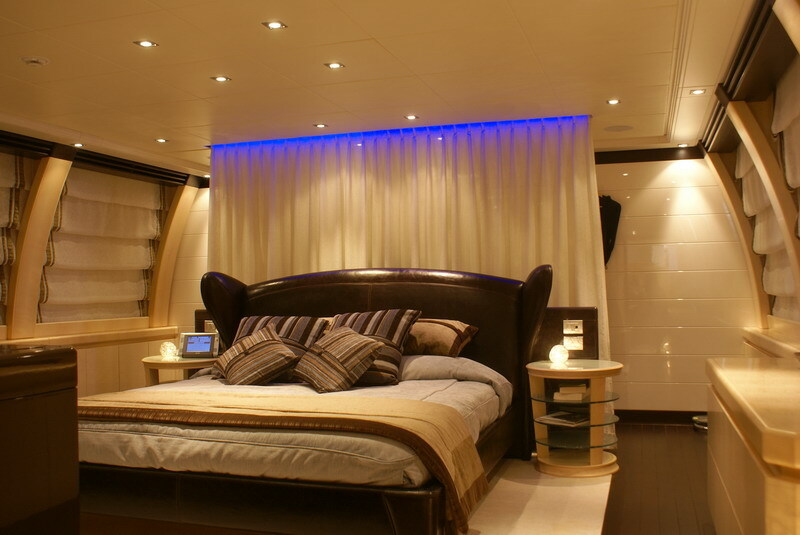 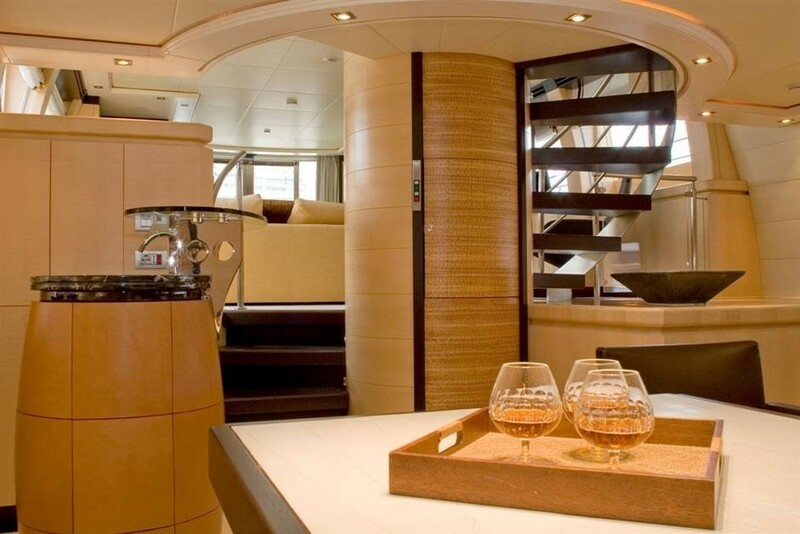 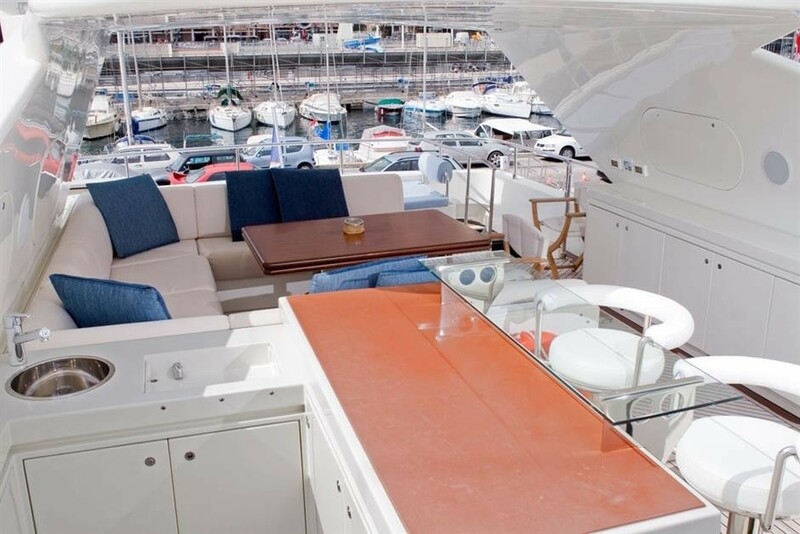 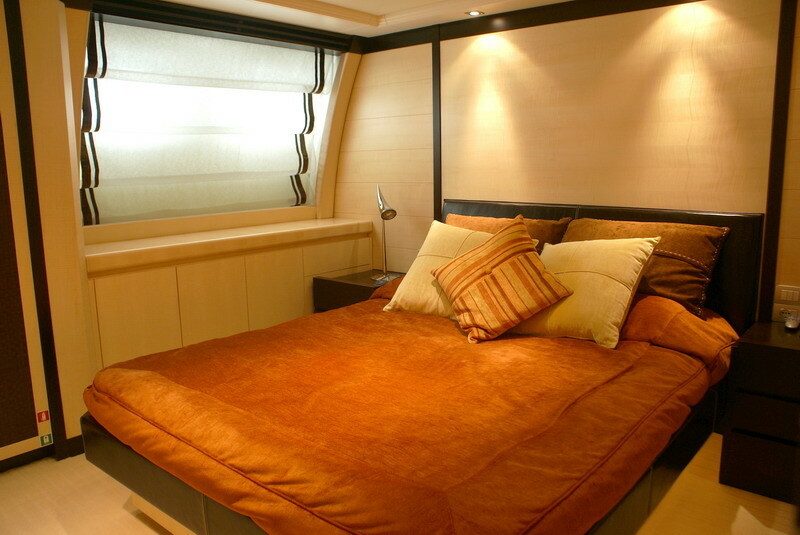 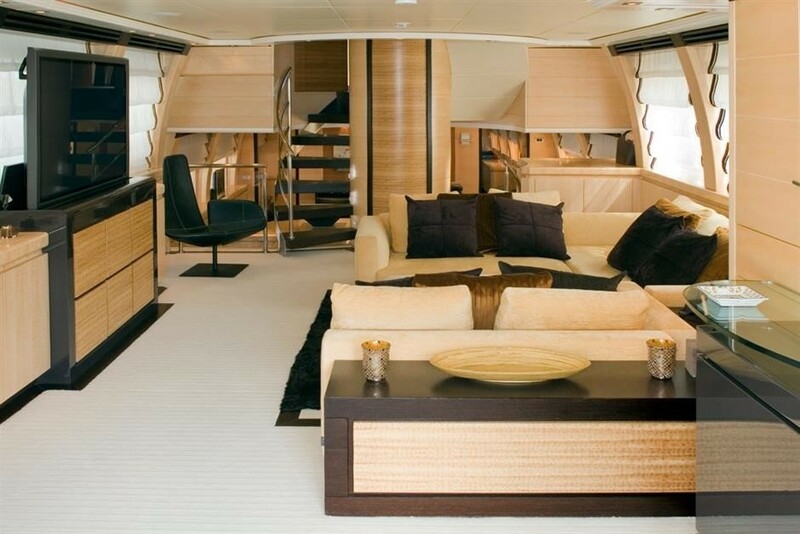 The motor yacht has modern interiors lined with precious materials, such as maple frisé coating well matched with wengé, doors in spotted banana tree wood, details in polished and braided leather. 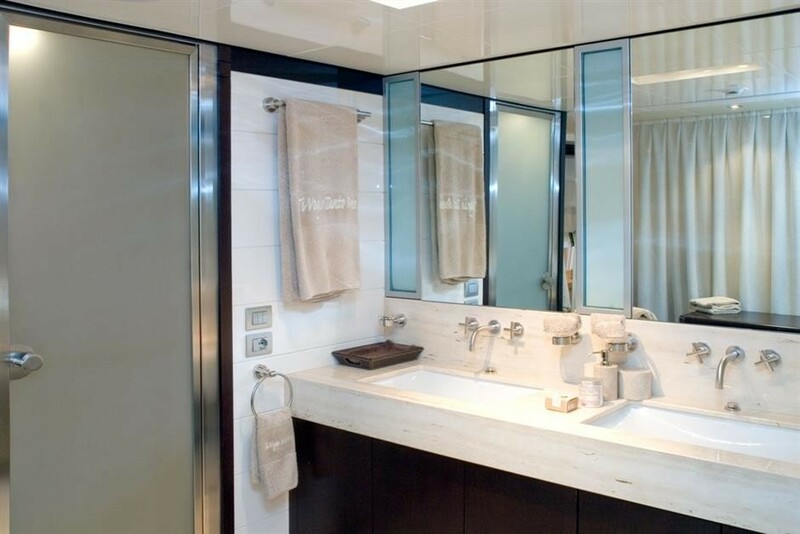 She also presents further Interesting interior design details like nettle carpets, a table with stucco-works by a famous Italian artist, and Bisazza mosaics and precious marbles. 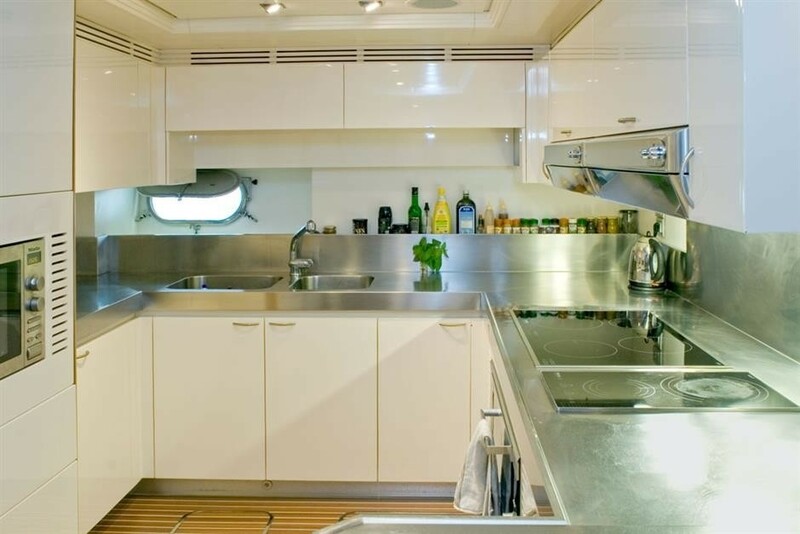 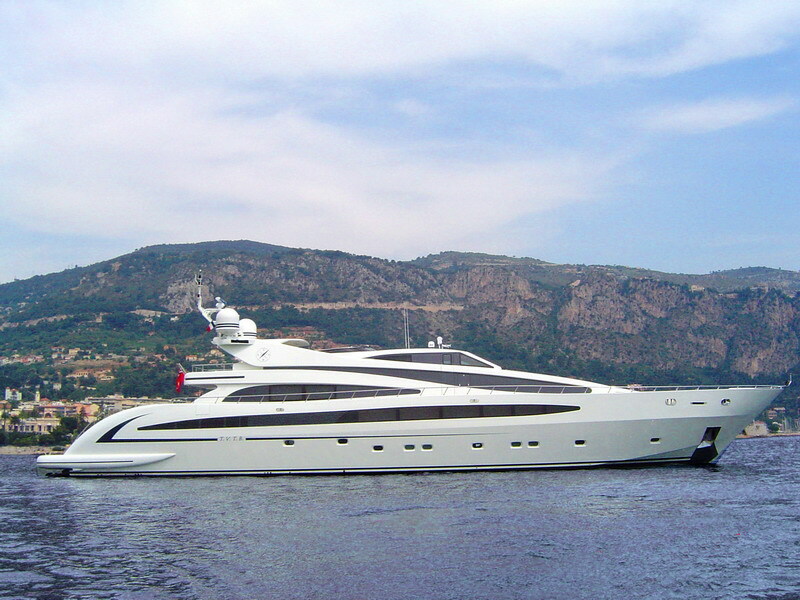 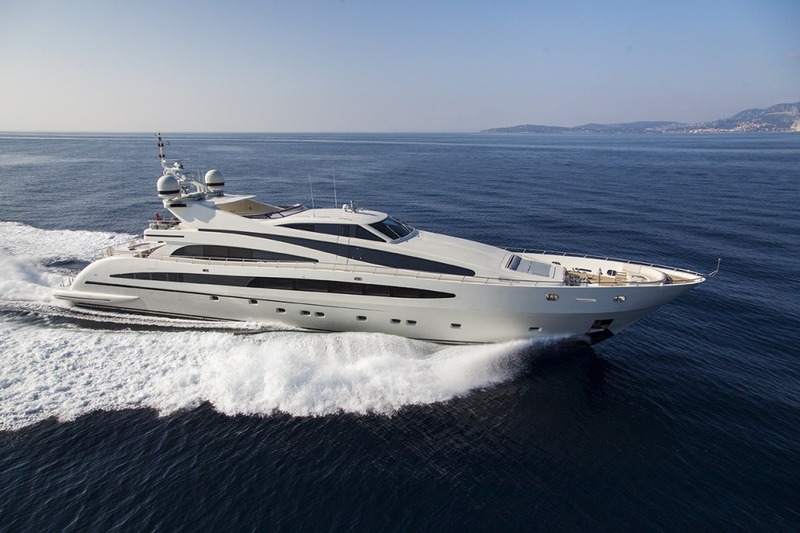 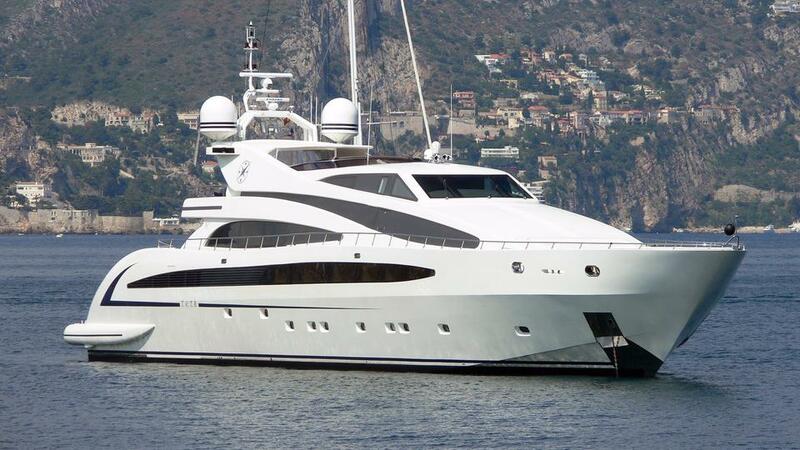 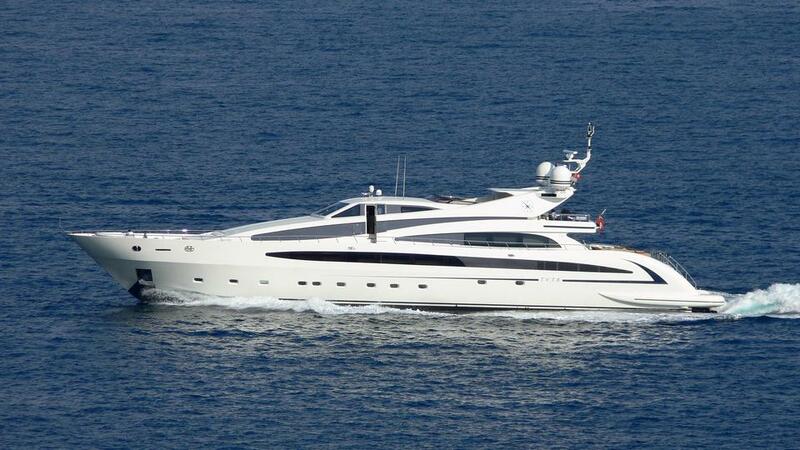 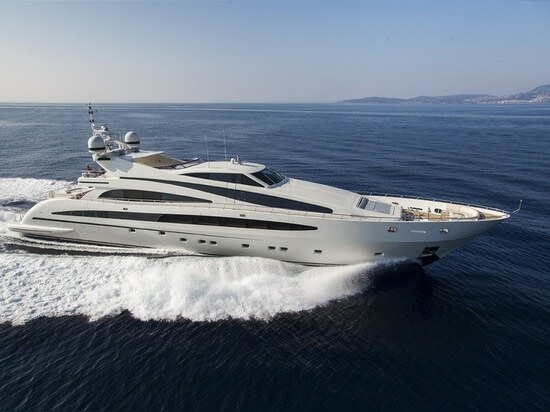 This superyacht displays elegant Italian lines as blended with performances. 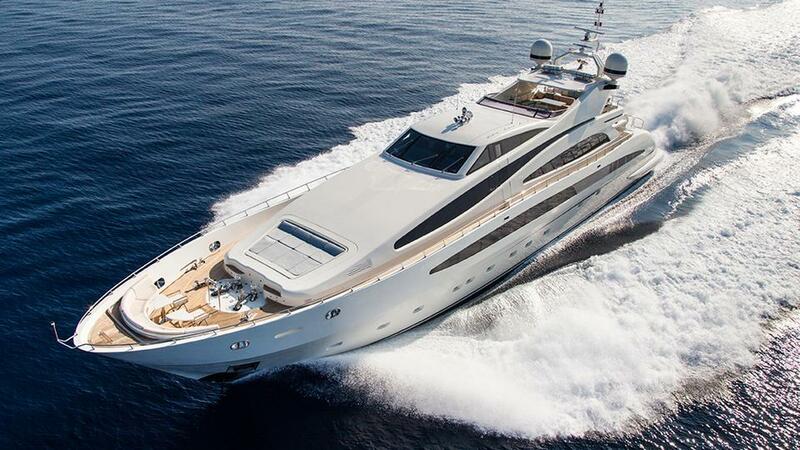 Indeed the superyacht can reach her impressive cruising speed of around 30 knots which is relatively quick when considering that many motor boats of the same size can only average of 26 knots. 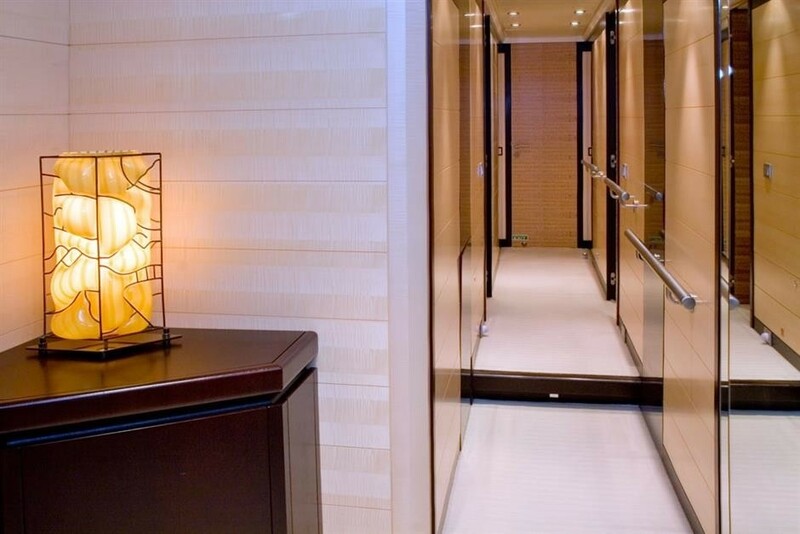 Cristiano Gatto explains his design concept: “Every decorative and shape choice has to allow the eyes to flow and every material has to satisfy the guests’ desire for details and elegance. 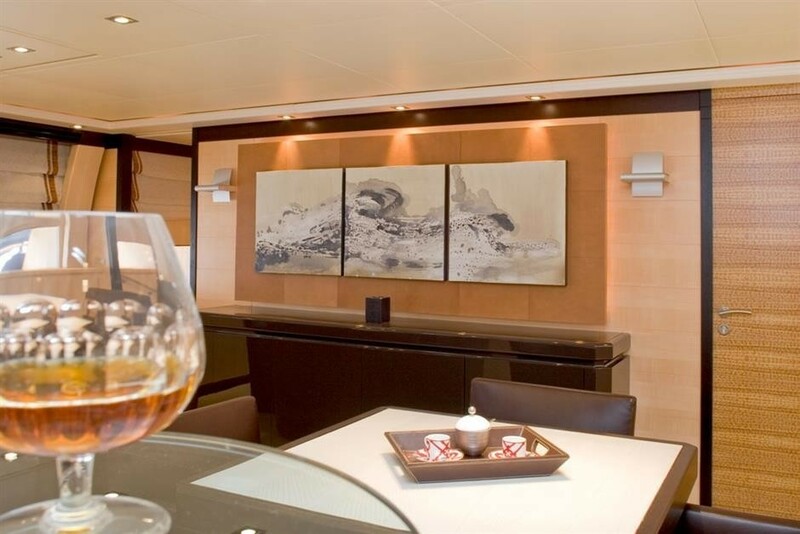 An elegant calm without minimalisms is what the owner seeks with this project; a true challenge, research in the tradition of the fascinating project”. 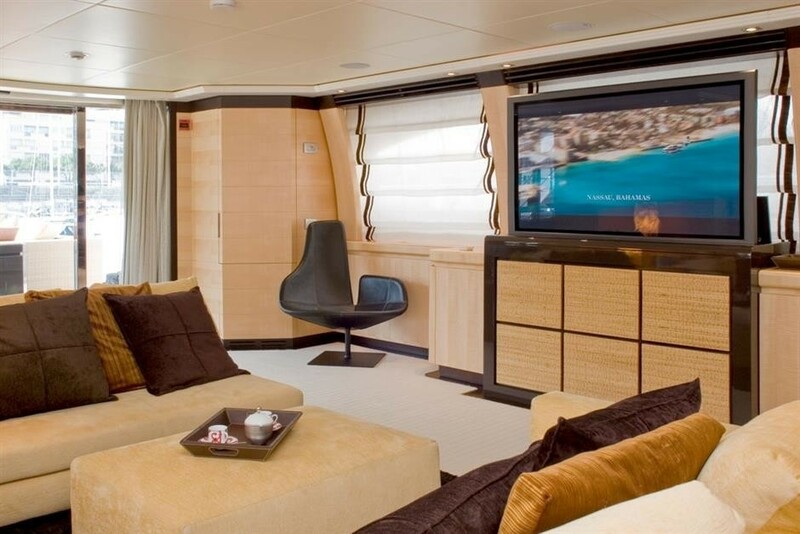 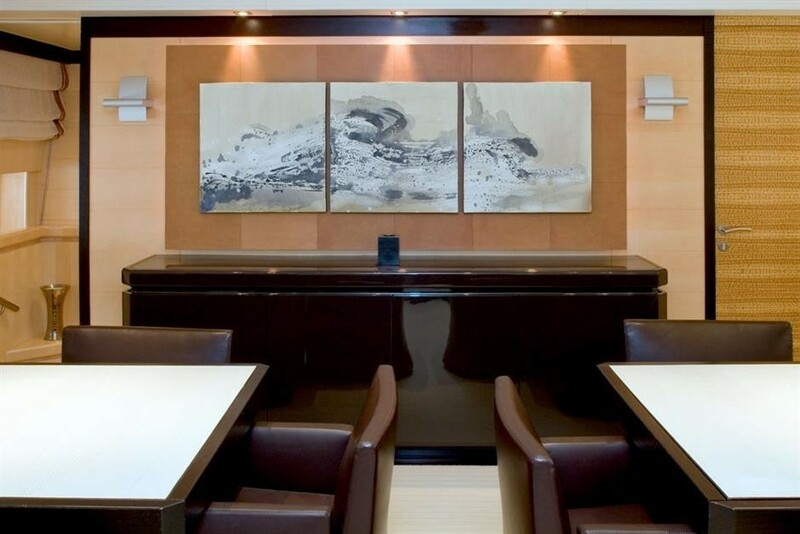 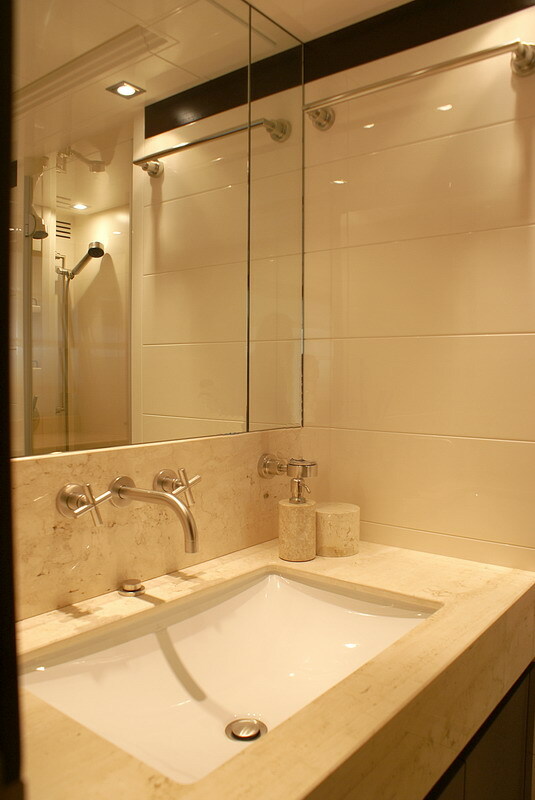 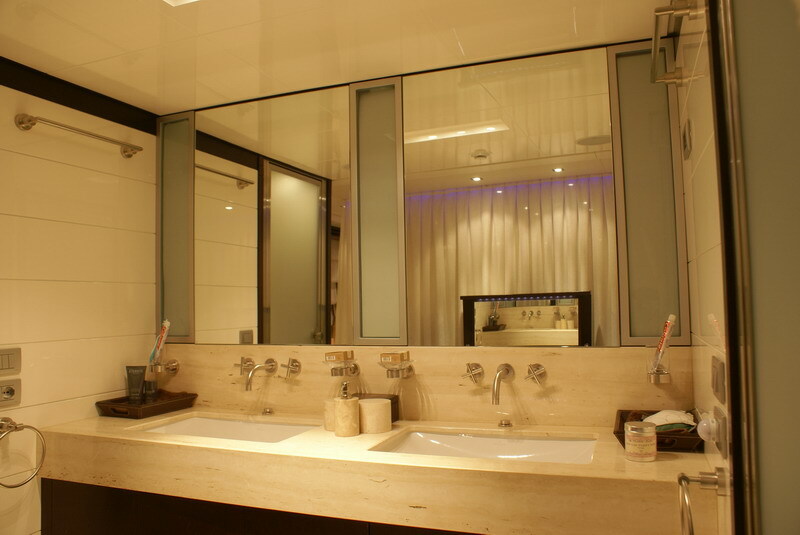 LIBERDAE offers excellent livability and space in her common areas. 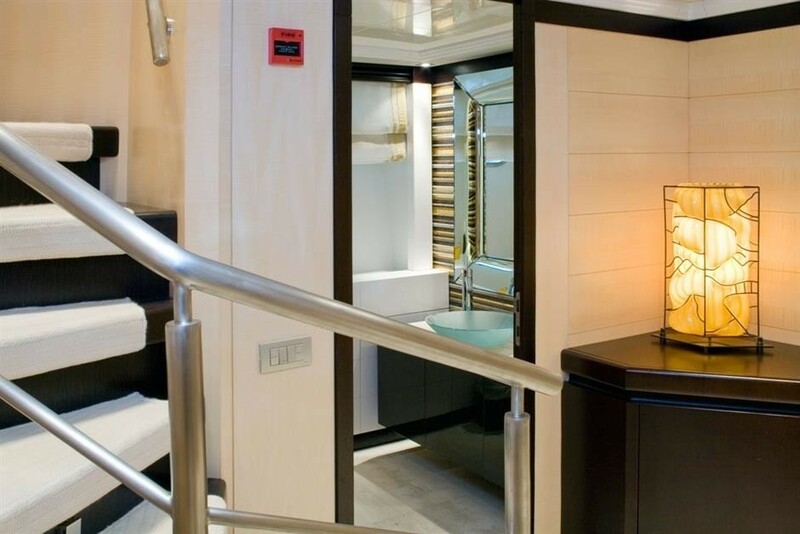 She boasts three decks, three cabins, a gym, a private office and a spectacular 45 sq meter owner’s cabin – as equipped with a Turkish bath. 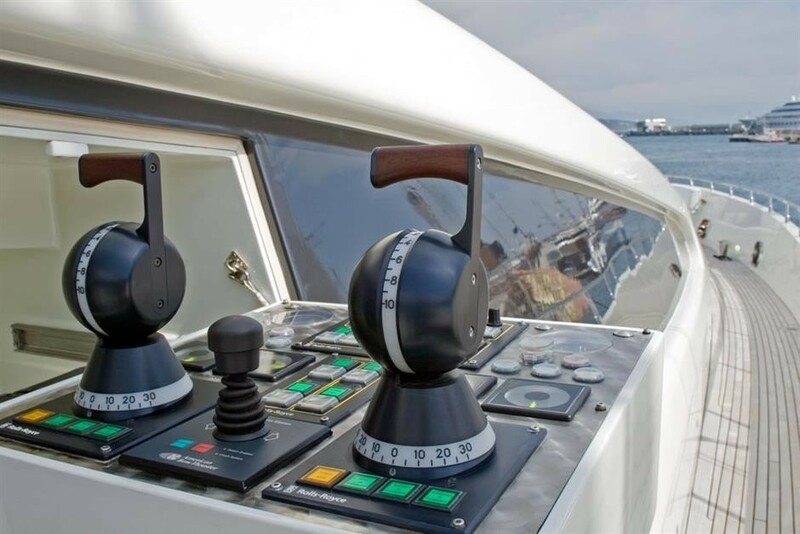 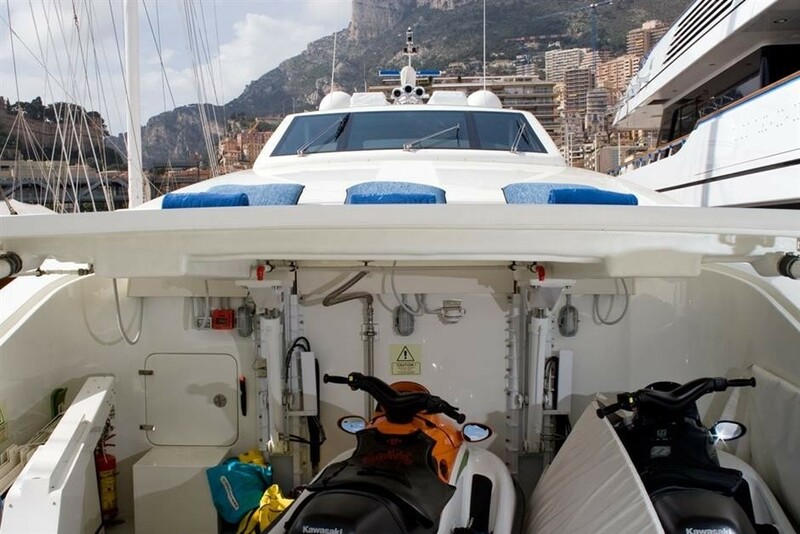 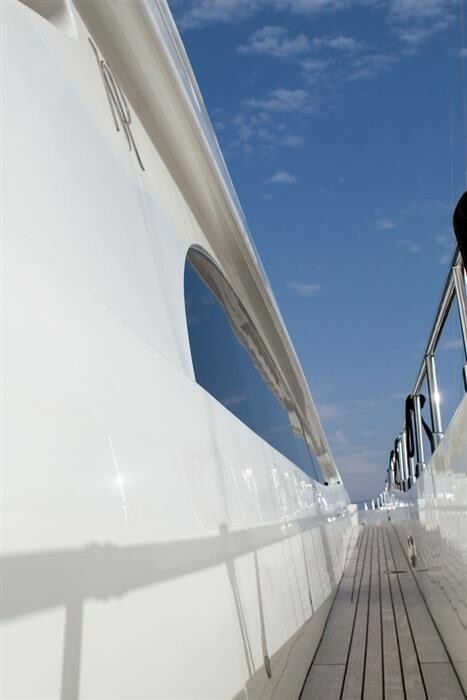 Equipped with a pair of MTU 1875 hp engines, this fast speed yacht can reach 30 knots. 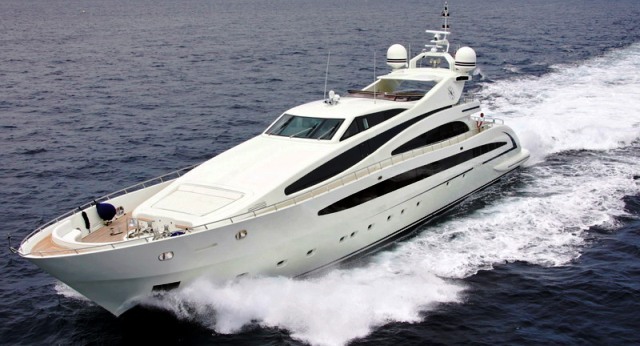 Her comfortable cruising speed is 26 knots, which make her a perfect yacht for island hopping and exploring the best of luxury yacht charter locations. 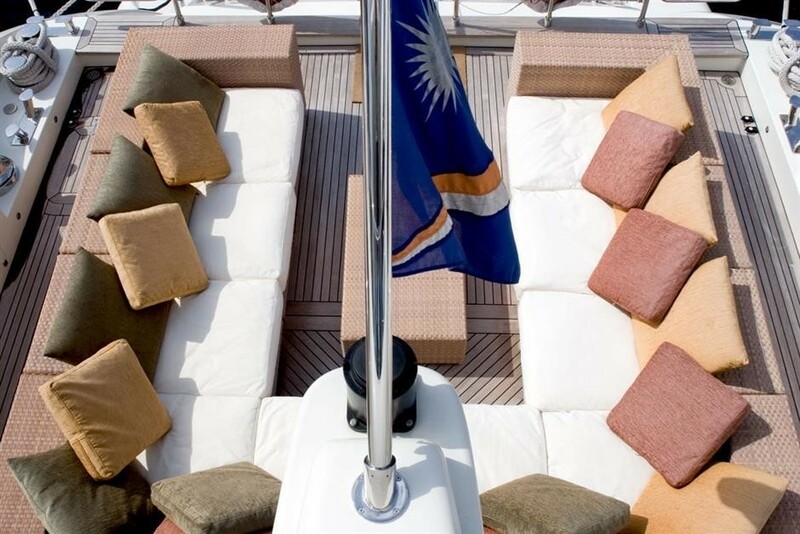 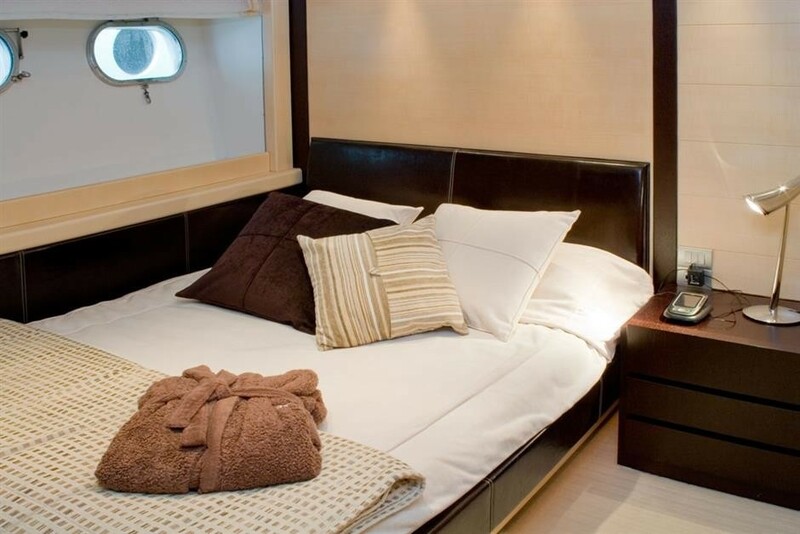 LIBERDAE accommodates a maximum of 8 luxury yacht charter guests sleeping and 12 cruising: Number of Cabins: 4 Total Guests (Sleeping): 8 Total Guests (Cruising): 12 Cabin Configuration: ( 3 Double, 1 Twin) Total Crew: 7 Bed Configuration: (1 Pullman bunk).